What is the difference between Independent and Assisted living? Assisted Living Home or Adult Care Home – A residential care home that provides supervisory, personal or directed care on a continuing basis. Their maximum capacity is 10 residents. Residents either have their own room or share a room with another resident. Assisted Living Center – An apartment type setting that also can provide supervisory, personal and directed care to Seniors. The communities have over 11 residents, ranging in all sizes. The room sizes can range in size from studios to two bedroom apartments. What is the difference between a Nursing Home and Assisted Living? There is a myth that when someone needs additional help with their care needs that they will have to live in a “Nursing Home,” which is called a Skilled Nursing Facility (SNF) A SNF consists of two parts or sides. One side is for rehabilitation, where one goes after an illness or an event. The stay is temporary and is paid for by insurance. The other side is for long-term care patients. About 90% of those patients are on the Medicaid program and the other 10% pay privately (the cost is about $6,000.00 monthly) At an SNF, an individual receives extensive medical care concerning a specific condition that would require around the clock nursing care, such as a ventilator; IV therapy; a serious wound, etc. 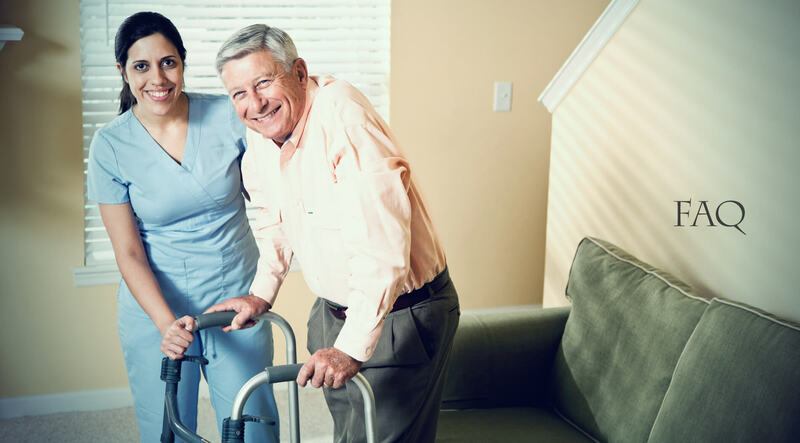 Assisted Living Homes or Communities can provide help with bathing, grooming, dressing, medication management and reminders; toileting; incontinence care, feeding, help with ambulation and transfers; wheelchair escorts, and frequent checks. They would also provide services such as meals, snacks, laundry, bed making, tidying up, housekeeping, and possible transportation. Location – Is the community close to family and friends? Nursing – Do they have a nurse on staff, and if so, how often? Can they provide for the level of care that is needed? What is the staff (certified caregiver) to resident ratio? Does a doctor or nurse practitioner make house calls? Activities – What type of activities are provided? Do they have a cafe? Is transportation provided? Amenities – Are there kitchens, kitchenettes, refrigerators, stove/ovens, microwaves in the apartment? Are they furnished? If so, is there an extra charge? Financial factors – How much does it cost? Is there an extra cost for the care? Is there a cap on the levels of care? Community fee – Do they have a non-refundable community fee? DME – (Durable Medical equipment) Can I have a scooter or electric wheelchair? Hospital bed? Meals – What is a typical weekly menu? May I eat in my room? Can a special diet be provided? Are there snacks? What is the time period for the meals? How many meals are served per day? Environment – How does the place smell and look? Are the current residents clean, comfortable and happy? How do the caregivers and residents interact with each other? Interacting with Current Residents – Interaction with current residents is recommended while touring. How to determine if Assisted Living is needed? Who is paying for Independent and Assisted living and what is the cost? Prices vary from $1,600.00 on up to $6,500.00 per person, based on the care needs, and the type of community or home that is chosen. ***Medicare does NOT pay for Independent or Assisted Living. Many seniors have pets that they have an attachment to. It is proven that just the presence of a domestic dog or cat can have a positive impact on the emotional and even physical well-being of an individual. Some facilities allow: birds, cats, dogs, rabbits, fish, and other small animals. Usually dogs less than 25 pounds and occasionally cats are the types of pets that are permitted. There is an entrance fee for the animal, and the pet would need to have current vaccinations. What is a community Fee?